2012 University World Champion Max Nowry (55 kg, Army/WCAP) has signed on to become a part of the Illinois Regional Training Center (hosted on the campus of the University of Illinois). 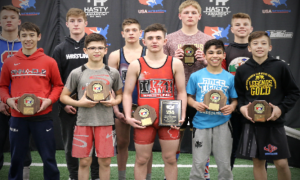 Led by head coach Bryan Medlin, the IRTC made waves in wrestling circles immediately upon its formation, and added even more momentum when Travis Rice (63 kg, world no. 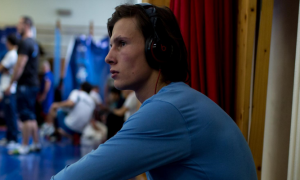 9) officially became the training center’s first Greco-Roman athlete last summer. 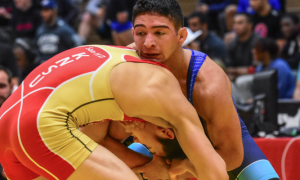 Nowry, who like Rice originally cut his teeth under Medlin and Mike Powell within Illinois’ immensely successful age-group program, was a two-time Fargo National champ before enrolling at Northern Michigan University. In 2012, he advanced to the US Olympic Trials finals opposite Spenser Mango, and later on that year, secured the University World crown in Finland. 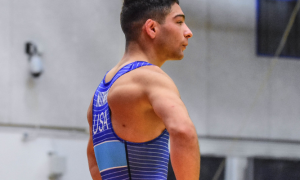 Eventually Nowry joined the Army’s World Class Athletes Program and has been a member of four US National Teams in addition to becoming a US Open champ for the first time in 2018. 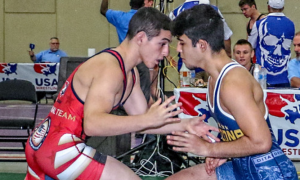 It is a situation that is similar in nature to Nowry’s teammate Ryan Mango (63 kg, Army/WCAP), who announced his affiliation with the California RTC at Stanford University this past fall. Both Nowry and Mango will remain in WCAP while breaking away on occasion to travel to their respective regional training centers. Ultimately, this is also the simple matter of a coach and athlete who enjoy a strong bond with one another and share mutual respect. 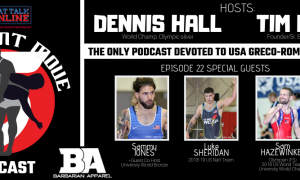 From Medlin’s point of view, he’s not just involving one of the United States’ top lightweight Greco-Roman athletes, he is also fortifying his room with someone who can help with continuing education. “Max has the experience and skills to win a World title,” Medlin said. “He is very good at gathering data and information to use at the right time, and I can’t wait to work with him more often. That’s how he became successful, and it’s why he has been good at putting it together when it counts. Plus, he has no ego when it comes to helping others, and I guess that comes from humble beginnings. Aside from reuniting with Medlin on a more consistent basis and sharpening up his arsenal alongside Rice, the main item Nowry is excited about has to do with in-state development. 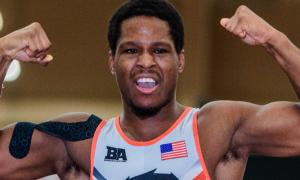 Illinois boasts a long history of churning out youth wrestlers who later became Senior stars, with recent names like Ellis Coleman (67 kg, Army/WCAP), Kamal Bey (77 kg, Sunkist, world no. 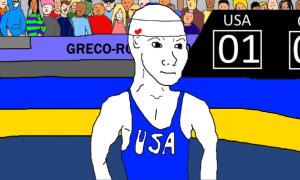 7), and Joe Rau (87 kg, TMWC/CRTC) featured prominently on the list. As it happens, Nowry gets to use permissive leave from WCAP to train under Medlin — while also chipping in to enhance Illinois’ ability to produce homegrown athletes.